very cheap cost with excellent support, backups and security. Scan all WordPress sites with Advika Web to identify and protect your core installations, no manual work needed. Simply check the items you wish to harden, click “Secure”, and you’re done. We include a 1-click Let’s Encrypt SSL certificate so the data passed between you and your site’s visitors is always safely encrypted. Look for the pageview indication for a normal WordPress site. You can find your pageviews in your web analytics software (like Google Analytics). If you have a WordPress e-commerce site (WooCommerce) or multilingual site we recommend our Unlimited plan. Starting in Economic is also a possibility, it is always possible to upgrade. Still not sure? Contact us for advice. How can I migrate my site to Advika Web? Would you prefer that we do the migration for you, please contact us. What if I would like to host multiple websites at your company? Of course that is possible! Depending on how many sites you wish to host and features you wish to use you can select an appropriate package. 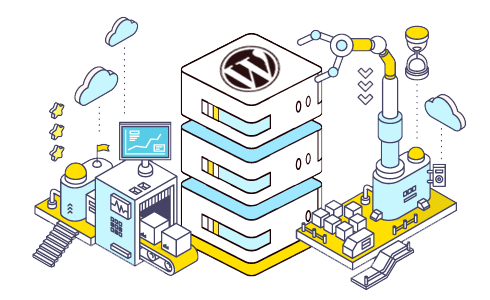 Our All WordPress Hosting Plans offer space for multiple sites. What happens when I receive more page views than my plan covers? Your website will always remain online. If you get structurally more page views we reccomand you to upgrade, to ensure the speed and quality of your site. Is there a limit to bandwidth usage? Yes! We work with a fair use policy. This means everyone should be fine during normal use. Would you like to stream a lot of videos or offer downloads we would gladly find a suitable solution for you. Can my website send unlimited emails? No, we want to protect the reputation of your IP address and domain. This is important to prevent your email from being marked as SPAM. You can send a maximum of 50 mails per hour through your website. Emails above this number will be added to a wait list and delivered with a delay. Our plans are not suitable for sending newsletters with WordPress, we advise MailChimp or a similar service for this purpose. We make offsite backups of all the sites of our customers every night. These backups have a retention of 7 days. We try for 99.9%, but no one can guarantee 100% uptime. Can I use any plugins and themes I want? Basically. There are only a few plugins which we cannot allow due to safety or performance reasons. In case your website features these we will detect them during the intake and discuss alternative plugins with you. Can I use WordPress multisite/network installations? Yes, you can. Multisite is possible within our All WordPress Hosting plans. We certainly do, we provide standard free Let's Encrypt SSL certificates for all domains. All other SSL types are supported as well. Definitely, we understand that we need to be reachable at any time of the day. Our VPS plans include a seperate 24/7 emergency number. Advika Web is Best And Cheap, most up to date and reliable WordPress hosting provider in India. Advika Web is a cheap and reliable WordPress hosting solutions with Cheap and affordable pricing and Amazing 24*7 Customer support. Advika Web is the best WordPress Hosting providers in India Market. Advika Web provide Managed WordPress hosting solutions with speed, security, and reliability. Best for WordPress designers and developers WordPress Hosting. Advika Web is a good Managed Wordpress Hosting provider.